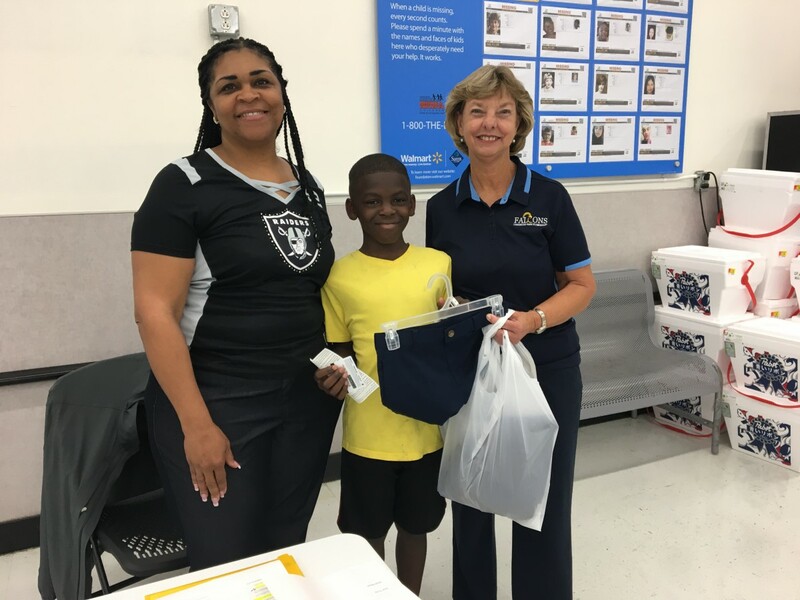 Friday night, our Fort Pierce Wal-Mart was filled with excitement as 100 Lakewood Park Elementary students were treated to shopping for school uniforms by Oakland Raiders’ Khalil Mack. The event was organized by his mother, Mrs Yolanda Mack. Pictured is Mrs. Yolanda Mack, teacher at Lakewood Park Elementary, Khalil Burns, LWP student, and Principal Dianne Young.